More than 200 over-the-counter dental products sold to consumers carry something highly coveted: the ADA Seal of Acceptance. Participating companies commit significant resources to test and market products in the Seal program, and these products can be used with assurance that they are safe and have demonstrated efficacy according to requirements developed by the ADA Council on Scientific Affairs. These products can include toothbrushes, toothpastes, mouth rinses, floss , white strips, water flossers, power brushes, sugar-free chewing gums and denture products, among others. Not every dental product submitted to the program qualifies for the Seal. 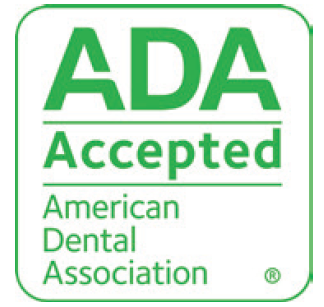 The ADA Seal of Acceptance is designed to help consumers make educated decisions and dentists make informed recommendations about consumer products. To see a complete list of ADA Seal-accepted over-the-counter products, visit ADA.org/Seal. Dentists can also direct their patients to MouthHealthy.org/Seal, ADA’s consumer website, for evidence-based information about dental care products.